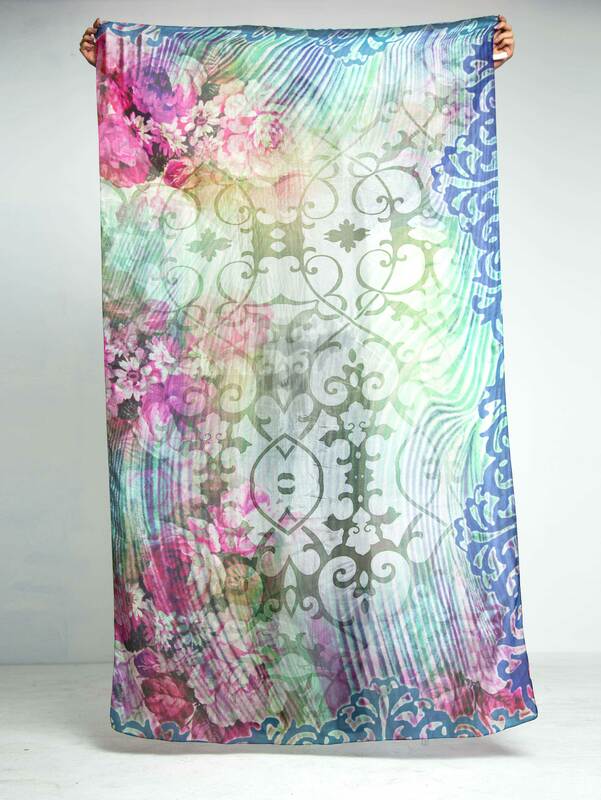 Gorgeous mix of shibori art, florals and Victorian motifs in beautiful summer colors. 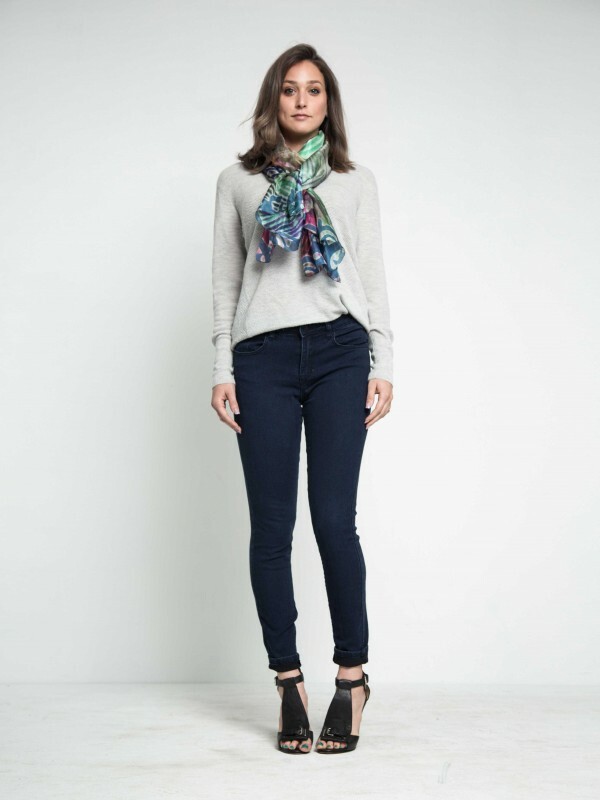 This Scarf is made from our buttery soft and lightest weight (as light as air) tabby silk. Shibori Tie-Dye is a process that typically consists of folding, twisting, pleating, or crumpling fabric or a garment and binding with string or rubber bands, followed by application of dye(s). This art originated in Japan and Indonesia and is very typical to Rajasthan and Gujrat, in India. Be the first to review “Shibori Swirls Silk Scarf” Click here to cancel reply.